My Hero Academia has taken the anime world by storm. It’s quickly gathered one of the largest anime fanbases for an anime series largely due to it’s fantastic Shounen style storytelling and the rise of simuldubs. Earlier this week I got to check out the first feature length film Two Heroes, and while it isn’t a perfect film it is one of the best anime films that tie into a series and is a very enjoyable experience for any fans of My Hero Academia. 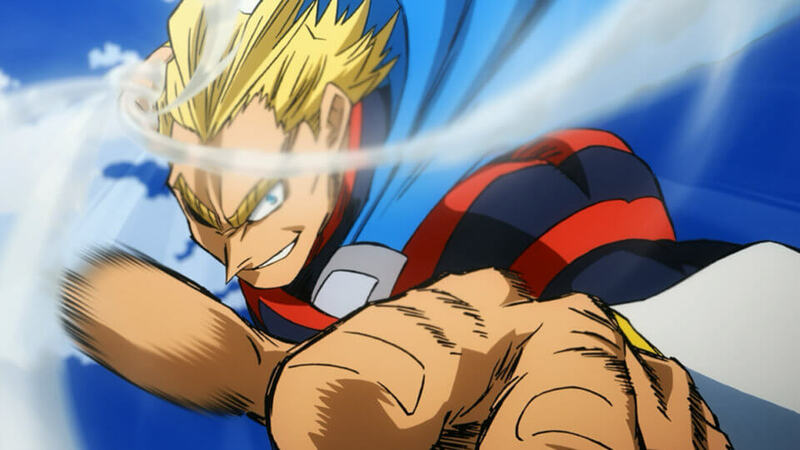 The film opens with a great sequence featuring a younger All Might, travelling through California in what seems to be his early days of becoming a hero. This scene provides a great look into the life of All Might and his friend David during his rise to fame as a hero and fleshes out his character beyond what we’ve seen in the anime series. Following this we’re taken back to the present day where we see Midoriya and All Might on a plane travelling to I-Island, a floating island capable of moving around that houses the worlds brightest scientists and a top of the range security system. Here they plan to attend the I-Expo, a massive convention showing off scientific research and support items to the numerous hero’s that attend the event. It’s here that All might catches up with his old friend David and his daughter Melissa and where David witnesses how bad All Might’s situation is, with the abilities of his quirk dwindling day by day. Meanwhile, during the opening of the event a group of villains manage to take over the island’s security system and take all of the event occupants hostage. Including the heroes who they restrain, including All Might. Leaving Midoriya, Melissa and the key characters from class 1-A having to scale the main tower on the island, restore the security system and rescue All Might and the other hostages. Despite spending most of the film restrained in some futuristic energy ropes I found Two Heroes to be a very All Might centric story. Of course the majority of the storytelling is done from Midoriya’s point of view as it is in the series but at it’s core the whole premise of the film hinges on All Might’s past, fixing his present situation and setting up a future hero of justice. 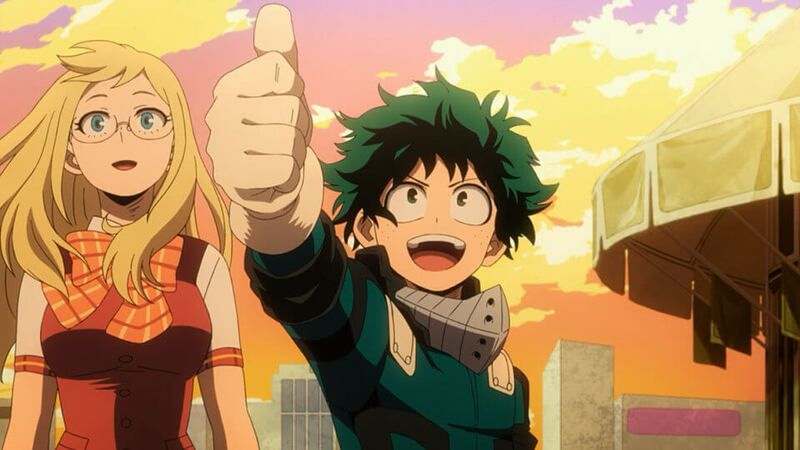 Midoriya’s character gets a bit of progressive development in the film mainly thanks to a cool support device Melissa makes but it was refreshing to see a great story here that didn’t need to be all about Midoriya. But the whole gang are present in the film, well most of them. The movie starts out leading you to think it will only be Midoriya and All Might involved in all the action. With the prestigious I-expo taking place at an isolated venue requiring an invitation to attend. With All Might taking Midoriya as his plus one I was thinking the rest of class 1-A may be involved in a story taking place elsewhere. But no. One by one the key characters from the series are revealed to be on the island attending the event too. With each one shocking Midoriya as they pop onto the scene. I felt this sequence slowed the pacing of the film down slightly as they try to give each character a different justification for being on I-Island and their own moment to shine as they’re introduced in the film. By the time they introduced the third or fourth character I was thinking “OK I get it, they’re all on the island.” I would have preferred if they just wrote it into the story that the whole of class 1-A was given a special invitation, introduce them in some cool way and then move on with the plot. Worst of all there are big characters such as Tokoyami, Hanta and Ashido that are shown to be on the island but have no inclusion in the main plot of the film when they could have helped out massively in the final conflicts. I did notice a number of times the film has a drop in animation quality. Mainly when it comes to the fidelity of the art itself. It’s fairly common place nowadays in anime series’ to spot it a little but I thought the film may have been given a bit more polish than a standard weekly anime release would get. It didn’t lessen my enjoyment of the film but as I mentioned it was noticeable from time to time. The film overall looks pretty much just like the series does (besides the CG assisted scenes used). Making it feel just like a 95 minute long self contained episode. Often many other anime when brought to the big screen are given a glossier look, with more effort going in to make the highlights and shadows stronger to try and increase the perceived quality of the animation when compared to it’s respective series. But My Hero Academia: Two Heroes makes no attempt to do so. And I don’t think it’s required either. Having it appear consistent with the series makes it seem like a great companion piece to the show rather than an isolated piece of content. Which is the basket many other anime films fall in. I have to praise the final fight sequence in the film. It encapsulates everything that makes My Hero Academia so great. Great character’s, extremely powerful moments and overcoming the odds to come out on top. The final combat scene is extremely cinematic and features some great sequences where the camera zooms around giving the scene and the villain a massive sense of scale. These moments are understandably assisted by some CG animation, and after you see you you’ll see why this part of the film couldn’t have been completely animated in a traditional sense. But don’t worry, the CG and standard animation blend quite well and don’t detract from the viewing experience. 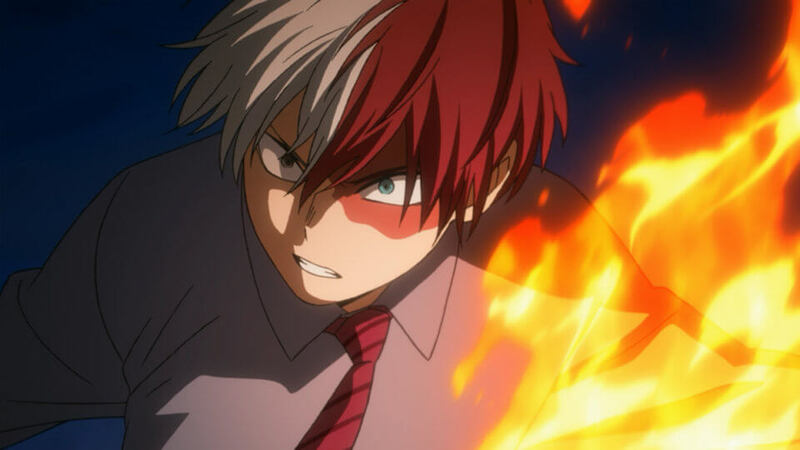 The climax of the film was already great but when the You Say Run track from the My Hero Academia soundtrack kicks in the scene becomes incredibly powerful and I had a visible grin on my face during the closing moments of that final fight. It was such a high note to end the film on and it’s because of scenes like that that My Hero Academia is the massive success it is right now among anime fans. My Hero Academia: Two Heroes is a fun, self contained My Hero Academia story that fans of the Shounen genre will get a real kick out of. 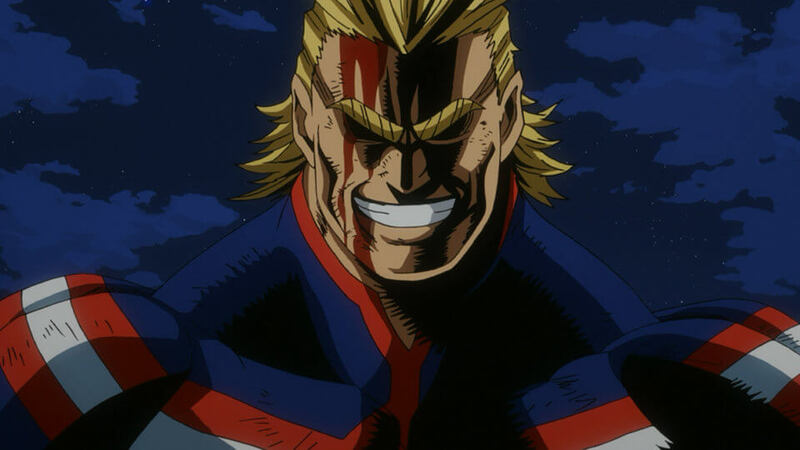 It develops the character of All Might beyond what we get in the series, fleshing out more of his past and his rise to becoming the symbol of peace. The film allows many of the key characters from the series to have numerous moments to shine and it all comes together in a fantastic climax. While there are some minor animation and plot issues it’s still one of the best Shounen series tie in films out there and contains the same magic that makes the series the phenomenon that it currently is. 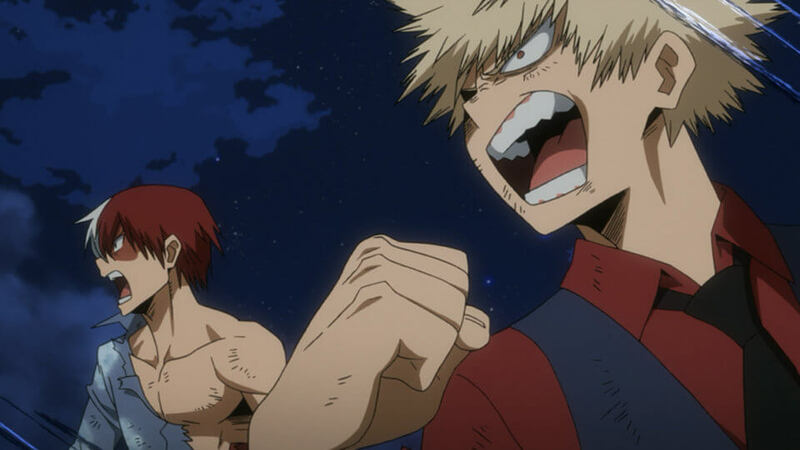 My Hero Academia: Two Heroes is playing in Australian cinemas now. To check out more about the film and view session times head to the official site here. + Great character development for All Might!